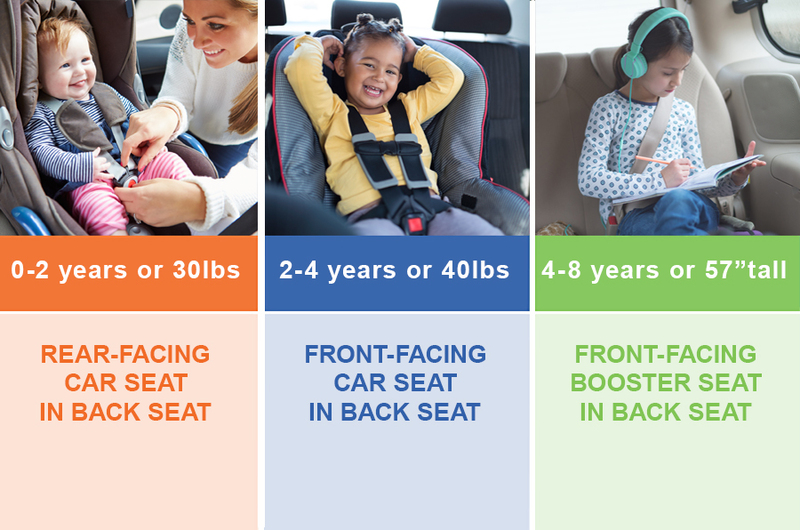 Only 5% of parents install car seats correctly. 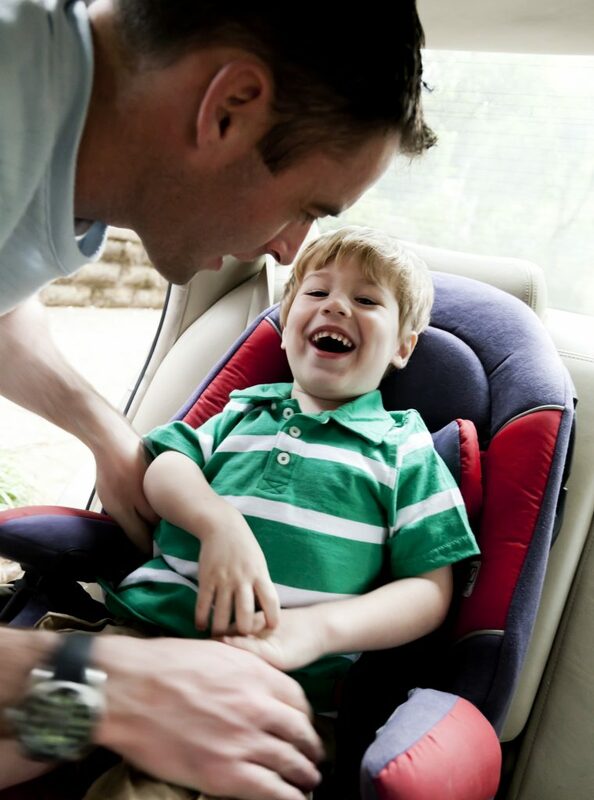 Make sure your car or booster seats are installed correctly. Have them inspected for FREE! As a parent (and former child) you know one thing for sure – kids love anything with wheels. 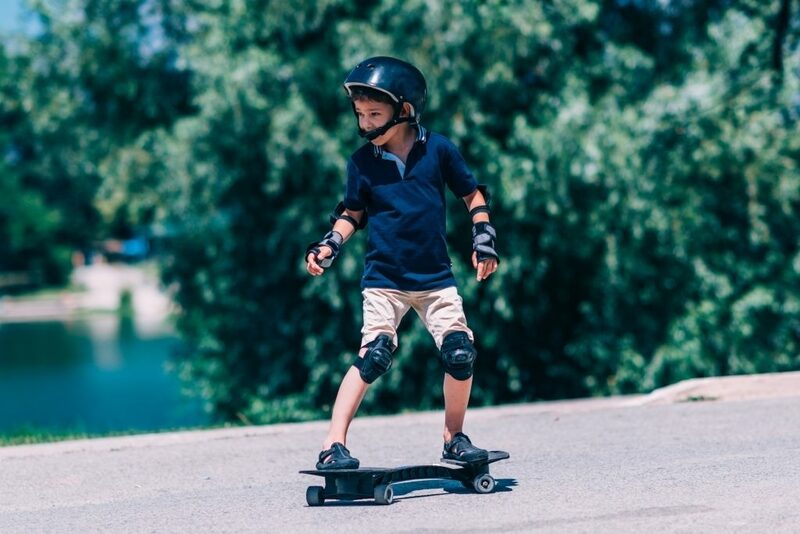 From big wheels to bicycles and scooters to skateboards and rollerblades, they’re always on the go. 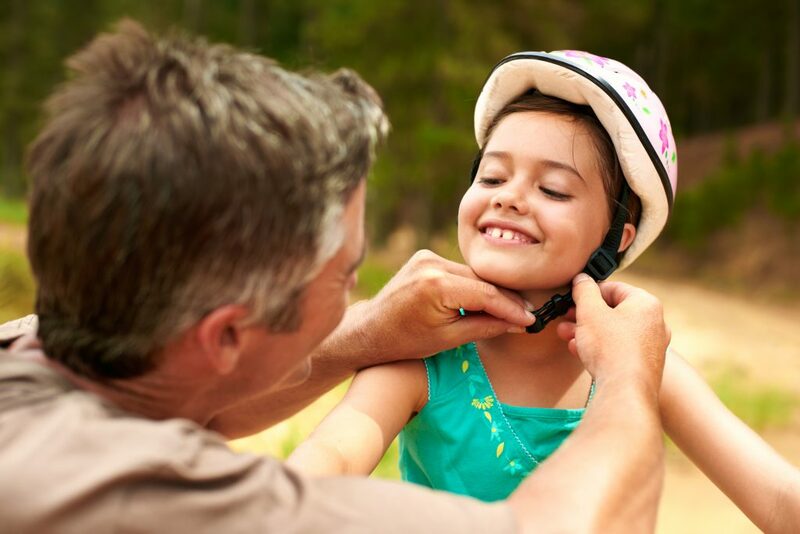 While kids are focused on the fun, you’ll be teaching them how to do it safely. Has a SNELL or ASTM seal of approval on it. 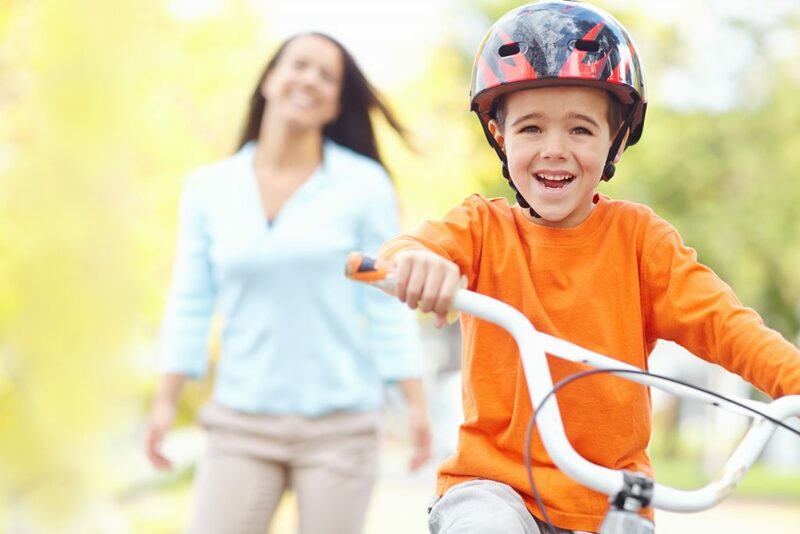 Teaching your child to ride a bike is an exciting milestone. After the training wheels come off, make sure you keep up the lessons so they know where and how to ride safely. As kids get older and are ready to venture farther, make sure they learn important rules of riding and practice with them. Ride with them to school or the park, until you are sure they are skilled and comfortable to do it on their own. And make sure you always wear YOUR helmet to set a good example for them. Review safe bicycle riding manuals with them and practice. Appropriate footwear – sneakers or shoes should be worn instead of flip-flops or open sandals. 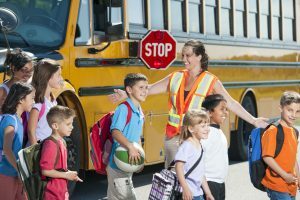 Children getting off the bus at the cross walk. 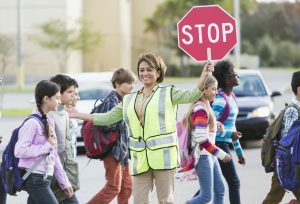 School crossing guard (Hispanic mature woman, 50s) helping children walk across street. Focus on woman. Be careful walking in parking lots where cars and buses may be pulling out. As a parent, there are few milestones in their lives as scary as giving our “kids” the keys to the car. While driving practice is an opportunity to spend time with your teen, becoming an instructor can be a challenge. But don’t worry, we’re here to help with tips and resources. Brush up on the current licensing process, what’s required for the New Jersey’s Graduated Driver Licensing (GDL), how to apply and how to find a good, licensed driver’s education school/course. Make sure you know all the info on GDL requirements and restrictions before you and your teen get behind the wheel. If you drive without wearing a seatbelt or occasionally text while driving, your teen will, too. Take note of your bad habits and do your best to set a good example. Here are some suggestions from Toyota’s TeenDrive365 on being the role model your teen needs to become a safe driver. Practice on progressively harder roads: quiet streets, school zones, busy highways. Anything that takes their full attention from the road even just for a few seconds can be dangerous. Teach Them About Crashes, Too! We know you’ve spent most of your time trying to help your teen avoid a crash, but it is also important to teach them what to do if a crash does occur. Things like safely exiting the vehicle, what information to collect from other drivers and calling the police. Review this post-crash checklist with your teen and keep a copy in the vehicle. Studies have shown that teenagers engage in risky behavior when parents aren’t in the car. 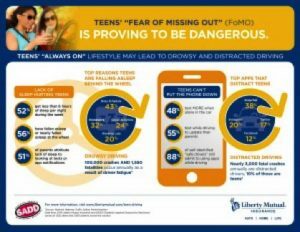 Fortunately, there are lots of apps and tech tools designed to help parents and teens practice safe driving. NOTE: The following examples of apps and/or devices for reference only. We do not endorse any of the products or services mentioned here. GPS Tracking Devices – some auto manufacturers like Ford, Chevrolet and Hyundai offer built-in systems to help new drivers or you can add a system to your vehicle like TeenTrak, MobileTeen, or MotoSafety. Alcohol Detectors – some newer car models offer dealer installed detectors or you can buy a small device or transform your smartphone into a breathalyzer with BACtrack. From a safety standpoint, mid- and full-size cars are often the best choices for teen drivers. Be sure the car is equipped with air bags, electronic stability control and automatic breaking systems. Buying a pre-owned car? 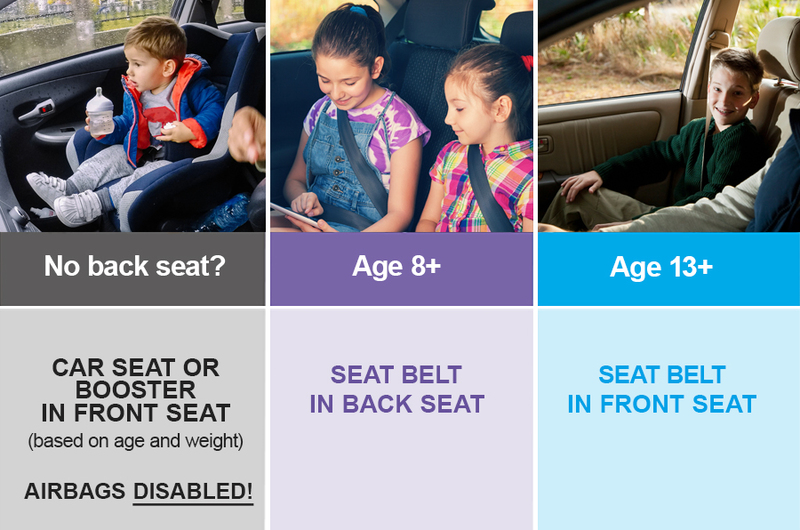 You can check the safety ratings online at www.safercar.gov or www.IIHS.org. We know teens want cool, sporty cars – but those often encourage speeding, so try to avoid them. Most teens will agree that a safe car is better than no car. AAA StartSmart – free newsletters with tips to help you through the process. 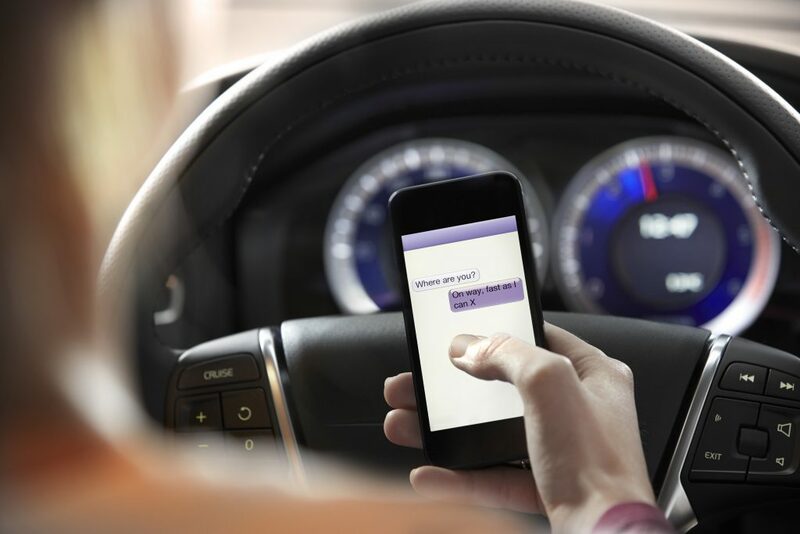 End Distracted Driving (EndDD) – A website sponsored by sponsored by the Casey Feldman Foundation dedicated to inspiring individuals and communities to take action to end distracted driving. 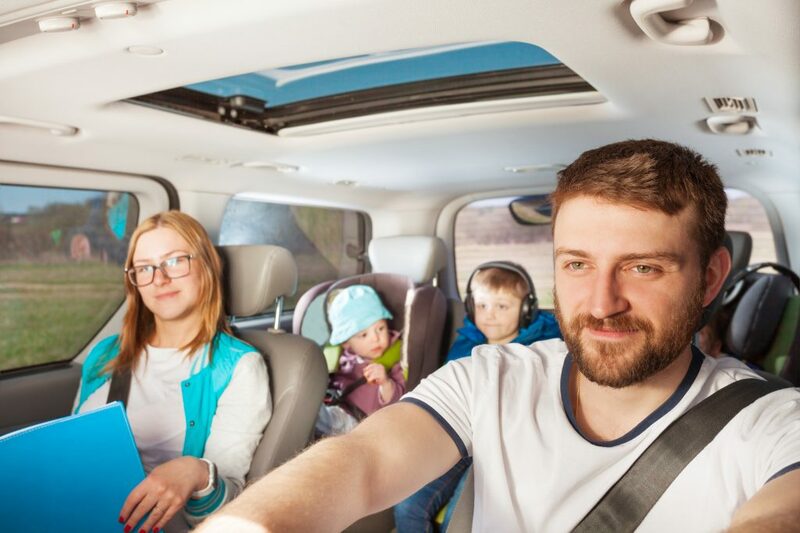 Parents Central – tips from car seats to teen driving. Being a great parent doesn’t make you a great driving instructor. Don’t worry – there are lots of great driving schools. Need more tips to help your teen driver?